No word on an U20s squad list for 2019 but I've been told that they'll train and play with the feeder clubs, unlike 2018 when the main U20s trained together in Townsville. I just watched some video on youtube of Hamiso Tabuai-Fidow as a 16 year old. He looks fast and athletic. Good acceleration. I watched Tabuai-Fidow in the GPS rugby here in Brisbane, he is one of the most gifted athletes you will see on a footy field. He will have a very bright future ahead of him. He would have had multiple clubs and codes coming after him. Sean Mullany, who was in our 20s squad for the last 2 years, has returned to NZ and joined the Warriors. Vodafone Warriors head coach Stephen Kearney has named 11 players with NRL experience in the 23-man squad for the club’s first 2019 trial against the Melbourne Storm at Kardinia Park in Geelong on Friday night. 1 Daejarn Asi, 2 Zinzaan Martin, 3 Martin O'Brien, 4 Ty Everett, 5 Sam Stopp, 6 Brodie Chaffey, 7 George Reuben, 8 Wiremu Greig, 9 Curtis Dempsey, 10 William Fox, 11 Nathan Barrett, 12 Ben Condon, 13 Enemarki Shibasaki, 14 Lance Folbigg, 15 Daniel Rigano, 16 Jack Gauld, 17 Jack Johnson, 18 Dylan Bayliss-Brow, 19 Teroera Thomas, 20 Bryce Long, 21 Lochlan Acanufa, 22 Lochlan Duncombe. Coach: Dave Elliott. 1 Hamiso Tabuai, 2 Steven Numambo, 3 Keanu Wainohu, 4 David Musumeci, 5 Ethan Targett, 6 Dylan White, 7 Aaron Moore, 8 Griffin Neame, 9 Adrian Trevilyan, 10 Vaughn Kim, 11 Sam Nimmo, 12 Phillip Musumeci, 13 Joey Jensen, 14 Jake Bourke, 15 Brad Schneider, 16 Daniel Buckland, 17 Jackson Dyne, 18 Isaiah Vailalo, 19 Thomas Casey, 20 Tai Laidlow. Coach: Matt Bowen. I believe Daejaen Asi, Zinzaan Martin, Ty Everett, Wiremu Greig, Nathan Barrett, Ben Condon and Dylan Bayliss-Brow are contracted from the 20s and Hamiso Tabuai, Dylan White, Aaron Moore, Griffin Neame, Vaughn Kim, Daniel Buckland and Isaiah Vailalo from the 18s. Probably more but thats who I know of. Trying to get a list from the club. Blackhawks 20s defeated the Pride 22-14 in their trial last weekend. 1 Micheal Bell, 2 Zinzaan Martin, 3 Lance Folbigg, 4 Daejarn Asi, 5 Ty Everett, 6 Brodie Chaffey, 7 Adam Cook, 8 Wiremu Greig, 9 Curtis Dempsey, 10 William Fox, 11 Nathan Barrett, 12 Ben Condon, 13 Enimarki Shibasaki. Interchange: 14 Bryce Long, 15 George Reuben, 16 Jack Althaus, 17 Jack Johnson, 18 Damon Gale, 19 Jonathan Smith. Coach: Dave Elliott. Four North Queensland Toyota Cowboys Academy kids went into Queensland Murri Under 16s camp on Monday ahead of this weekend's game against NSW Koori. I think the game is being streamed on the QRL site. Queensland won with Kmani Levi and Hubert Elu scoring tries. Tom McIntosh was named Queensland's player of the match. A second half comeback filled with attacking flair has seen the Queensland Murri Under 16 team retain the Steve 'Bear' Hall Shield with a 28-20 win. Updated the first post with a list of contracted players in the U20/U18s competitions. Two new names are Keanu Wainohu-Kemp and Matti Moyle. Wainohu-Kemp is a centre from Gisborne, NZ who was a member of NZ's under-19 waka ama (outrigger canoeing) team. Matti Moyle is a lock from the Northern Territory. In 2017 he was the Pool B Player of the Championships at the Under 15 Australian Schoolboy trials and was named in the Australian Schoolboys Pool B team. The Cowboys recruitment officer who scouted Jason Taumalolo as a 13-year-old says Matti Moyle is “one of the toughest kids” he’s ever seen. Clint Zammit — who recently signed Moyle to a three-year development contract with North Queensland — yesterday said the Northern Sharks junior had physicality few players his age could match. “He’s got plenty of upside,” Zammit said of the 16-year-old lock, who stands at 187cm. Zammit first spotted Moyle playing for the NT at the under-15 national championships, and remembers a raw-boned backrower. “He didn’t have much of an idea of how to play, but he loved the physicality,” Zammit said. 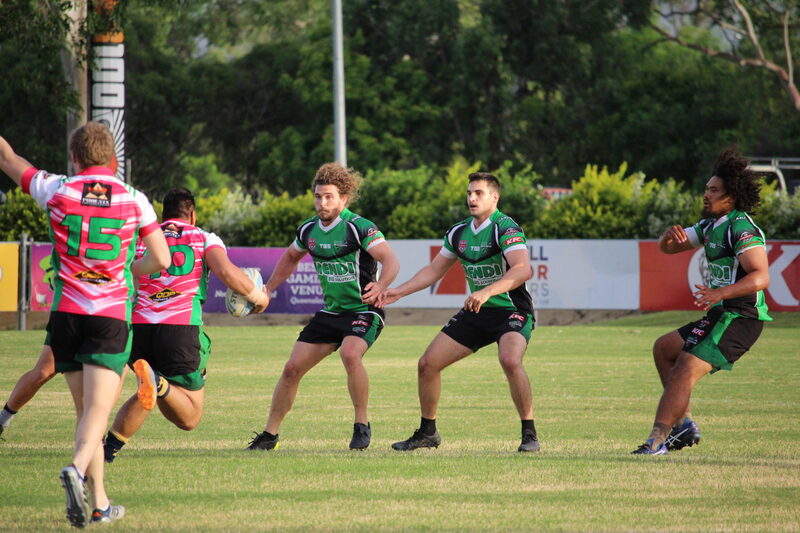 Moyle will relocate to Cairns next year for a season with the Northern Pride in the under-18 Mal Meninga Cup, and Zammit said with top-line guidance, the Territorian would improve faster than his peers. “He hasn’t had the coaching like other kids already in the system,” Zammit said. “He will be a much better player at 19 than he will be at 17, he will add another level to his game. 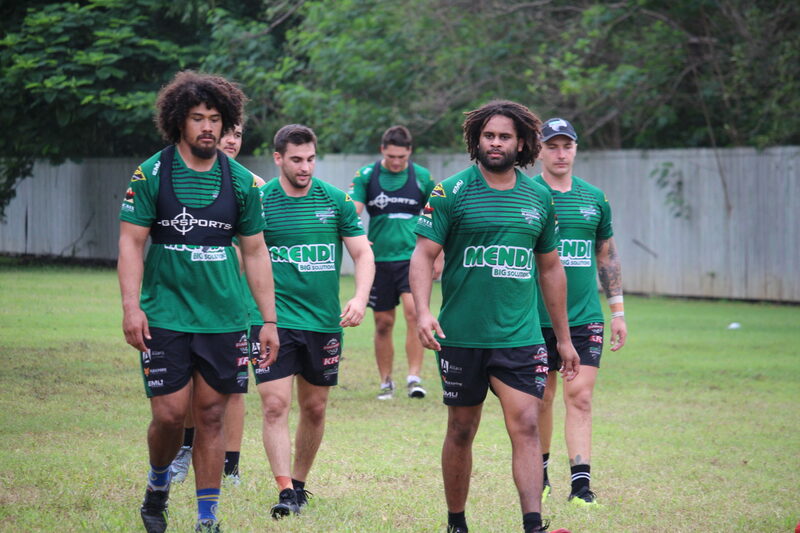 “He’ll be playing in a good team around good players, and will have no trouble handling (the standard of the Queensland-wide Mal Meninga Cup). “Training consistently three or four days a week and doing his weights, he will get stronger and be a completely different player in eight months. “We’ll put some good weight on him over the next three years. The talent spotter said coming from the Top End, North Queensland would be the perfect fit for Moyle. “Kids like Matti transition into our system easier than they would in Sydney,” he said. “Darwin to Sydney is tough, especially when you’re young and want everything to be right off the field.